Marvel Comics legend, Stan Lee, presses his handprints in Play Doh at HASCON, the first-ever FANmily™ event from Hasbro, Inc. Friday, Sept. 8, 2017, in Providence, R. I. 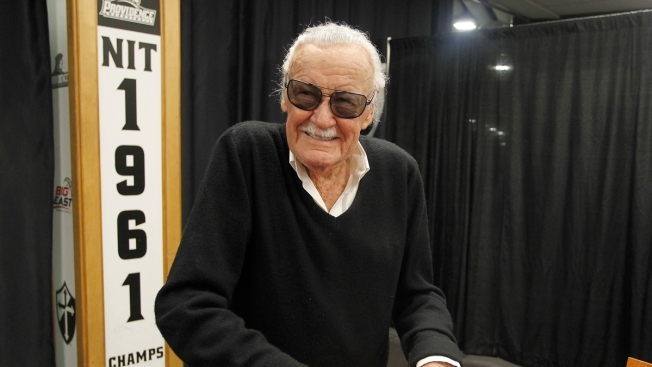 Don't panic if you see Stan Lee trending on social media Thursday. It's the Marvel Comics legend's 95th birthday, and people, including actors starring in Marvel universe films and TV shows, are wishing Lee a happy birth anniversary. Actor Mark Ruffalo, who recently appeared in Marvel's "Thor: Ragnarok" as Bruce Banner (The Hulk), said happy birthday "to the legend" Lee, responsible for co-creating The Hulk, in a twitter post. In collaboration with several artists, most notably Jack Kirby and Steve Ditko, Lee also co-created Spider-Man, the Fantastic Four, the X-Men, the Avengers, Iron Man, Thor, Daredevil, Doctor Strange, and many others, introducing complex, naturalistic characters and a thoroughly shared universe into superhero comic books. "Happy born day, stan !! !," actor Don Cheadle, who portrays James Rhodes (War Machine), tweeted. @TheRealStanLee happy born day, stan !!! "Thank you for being you and for being born because most of us wouldn't be in this crazy biz without your super powered creativity and your mentorship," Chief Creative Officer of Marvel Entertainment Joe Quesada said. Lee is also responsible for co-creating Marvel's first black superhero, Black Panther. The highly anticipated "Black Panther" film, starring majority black actors, is set for release on Feb. 16, 2018.